By the rising expectations of society on how a company should behave in a world of finite and diminishing resources, fragile communities and precious ecosystems. By the momentous impact of technology, the brutal transparency and collective voice of the social networks. 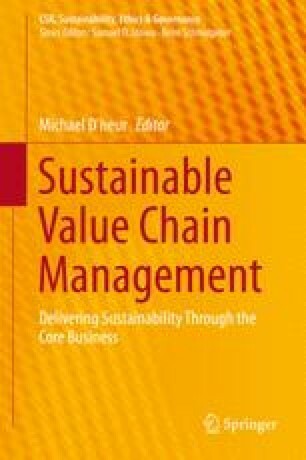 If a company’s value chain is found wanting, it can now be acted against with expeditious, extensive and extraordinarily public effect with direct impact on the confidence, performance, value and reputation of the company. The dynamic and chaotic nature of this social unchaining demands a more adaptive approach to governance: one that can absorb the turbulence without the company losing its shape and authenticity. If a company accounts and models for this human volatility, it can unlock new and expansive degrees of social resilience across the whole stakeholder constituency. For those that are willing to approach it proactively, resilient storytelling will then be the key tool to engage across the internal and external stakeholder community to engender the shared resilience a company will need to survive. Bartolini, A. (2011). Business or pleasure – How social networking will reshape the P2P value chain. http://www.basware.com/sites/default/files/upload/ardent_partners_-_business_or_pleasure_-_how_social_networking_will_reshape_p2p.pdf?p2pdl=NL_31. Accessed April 30, 2014. CSIS. (2014). Seven revolutions. http://csis.org/program/seven-revolutions. Accessed April 30, 2014. Economist. (2014). Coming to an office near you. http://www.economist.com/news/leaders/21594298-effect-todays-technology-tomorrows-jobs-will-be-immenseand-no-country-ready. Accessed April 30, 2014. Gereffi, G. & Fernandez-Stark, K. (2011). Global value chain analysis: A primer. http://www.cggc.duke.edu/pdfs/2011-05-31_GVC_analysis_a_primer.pdf. Accessed April 30, 2014. Pezzini, M. (2012). An emerging middle class. OECD Observer http://www.oecdobserver.org/news/fullstory.php/aid/3681/An_emerging_middle_class.html. Accessed May 28, 2014.